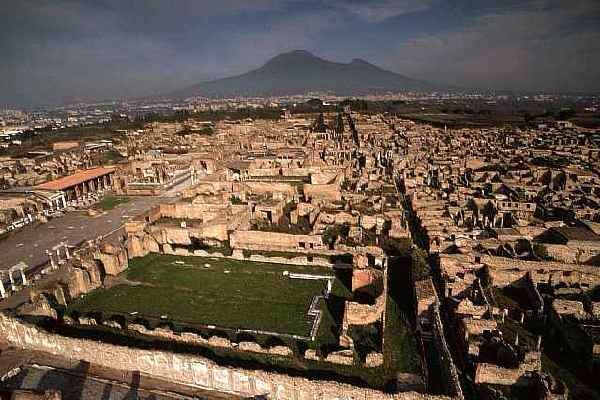 Now almost 2,000 years since the thriving Roman city of Pompeii was brought to a standstill by the eruption of Mount Vesuvius in 79 A.D., and 160 years since its large-scale excavation, this international archaeological treasure (AERIAL PHOTO ABOVE) is desperately in need of conservation. A major €105m ($137 million) restoration project began in February of this year, funded by the Italian Government and the European Union, but is plagued by suspicions of mafia involvement. There is also controversy about allowing continued excavation at the site when so much of what has already been excavated is being allowed to deteriorate. But just last week an Italian construction magnate made an announcement that he hopes will generate international donors. In a gesture intended to serve as an example, Pietro Salini, CEO of Impregilo, plans to donate €20m euros ($26 million) toward the restoration and preservation of the ancient city. As Salini says, "It would be a crime to let Pompeii crumble."